The February Art Walk will be held February 7th, 2019 from 5:00pm to 8:00pm at the shops and galleries on Public Square, Franklin Street, and Strawberry Alley. The Downtown Artists Co-op (DAC) is proud to announce our 8th Annual Juried Photography Exhibition. Our Photo Expo gets better and better each year, so we invite you to come see some of the finest photographic art in our region. 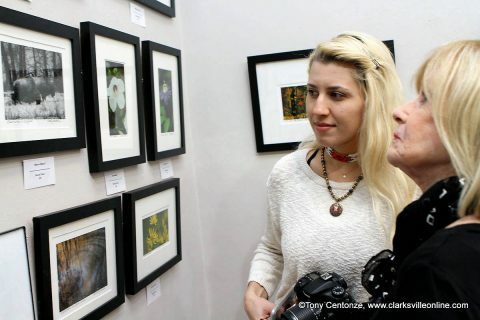 This photography exhibit features multiple categories and styles of photography by amateur and professional photographers. Entries range from modern digital photography, to traditional B&W film and alternative process photography. Subject matter includes landscape, nature, portrait and figure, still life, experimental and alternative process. Entries will be accepted February 1st from 12:00pm to 4:00pm & 2nd from 9:00am to 5:00pm at the DAC. (96 Franklin Street) Download the entry form from our website at www.downtownartistsco-op.com/call-to-artists.html or stop by the DAC. DAC’s 8th Annual Juried Photography Exhibition exhibit is generously sponsored by The Frame Maker (Glen Edgin) and Sango Fine Wines and Spirits. The opening reception for the Photo Expo will be Thursday, February 7th from 5:00pm till 8:00pm. Awards and recognition will be given promptly at 6:00pm. The Photo Expo will be on display during the entire month of February. 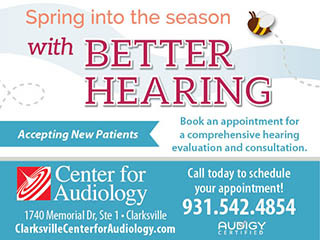 For more info call DAC at 931.919.3770 or contact us on Facebook. The Framemaker proudly presents work by Nashville, Tennessee artist Craig Greene. This exhibit is part of Clarksville’s First Thursday Art Walk on February 7th, 2019. An opening reception will be held from 5:00pm to 8:00pm. The exhibit will remain on display at the Framemaker throughout the month of February during normal business hours (Monday through Friday 10:00am to 5:00pm). Craig Greene is a native of Montgomery, Alabama and currently resides in Nashville, Tennessee. Started painting in 1995 while discovering local folk artists including Mose T and Bill Traylor. Graduated, Studio Art / Painting from Auburn University in 1998. The Roxy Regional Theatre is proud to host local artist, Regina Mick, in the Peg Harvill Gallery during the month of February. I open up my heart and mind and let it all pour out onto the canvas. I am an expressionist acrylic and mixed media artist. My works feature a combination of media that can vary greatly in terms of composition, color, texture, size, and more. I enjoy the exploration of new techniques with a combination of styles. I am consistently pioneering and continuously evolving in my art form. Recently, I have been experimenting with oil based paints on glass. I love creating. It makes my soul sing. I sit down with a blank canvas and let my creativity unfold. I love the freedom it brings. My art studio is the one place where I am completely free to express myself. Regina Mick lives in Clarksville, Tennessee. After high school graduation, she joined the U.S. Army and was stationed at Ft. Bragg, North Carolina. After her term in the U.S. Army, Regina settled in Clarksville, Tennessee and attended Austin Peay State University. There, she learned that she had a passion for art. Around the same time. Her father fell terminally ill and passed away. Regina used her artistic abilites to cope with the loss. She continues to use art to calm her soul. To create makes her heart smile. She is a member of the Downtown Artists Cooperative in Clarksville, Tennessee. She won first place in the 2017 U.S. Bank Open Exhibition hosted by APSU’s Department of Art and Design. Her works have been displated in many shows including the Downtown Artist’s Cooperative, Nashville’s An Art Affair 2017, First Thursday Artwalk at Edward’s Steakhouse 2017, U. S. Bank Open Exhibitions 2011 and 2017, Riverfest Juried Art Show, 2016. For tickets to and information about our current productions of ALL NIGHT STRUT, please visit www.roxyregionaltheatre.org or call the box office at 931.645.7699. Edward’s Steakhouse is proud host local artist, Tracy Betencourt, during the February 2019 First Thursday Art Walk. Tracy Bettencourt, artist, advocate for persons with disabilities, motivational speaker and APSU alumni, began to lose her eyesight in her early 30s from an eye disease called Retinitis Pigmentosa. Although the disease has left her blind, the hardships she experienced have not prevented her from living her life to the best of her abilities. The Lynes feature work on paper and of wood from their series on women’s suffrage. These Paintings are based on the photographs of Dr. Reed Bontecou, who documented the treatment of the wounded toward the end of the Civil War. This exhibition includes nature photography by this Franklin, Tennessee artist who works with contemporary techniques. This series of dollhouse photographs on aluminum by award-winning photographer Eric Hansen features the first run of this series, which are part of the Museum’s Collection. This exhibition features a series of paintings that uses the combination of precision and drama of the European Old Masters with a silly, punning sense of humor. Nashville artist Matt Gore’s paintings may be seen regularly at The Hayes Galleries with locations in Nashville and Thomaston, Maine. His works have also been shown in solo exhibitions at the Tennessee Art League, at the Customs House Museum & Cultural Center in Clarksville, and in a group show at the Centennial Arts Center in Nashville. This exhibition features artifacts and local stories related to Clarksville’s 1999 Tornado. The exhibition is sponsored in part by Legends Bank. From the collections of Randy Spurgeon. This exhibition features a Wisconsin artist who paints everyday objects. In 2009, Lynn Garwood closed down her sign painting business to concentrate on being an artist. Lyn’s paint of choice is acrylics. Under every painting, she paints a positive word. These words can be seen and at other times are completely painted over to be hidden. This exhibition features artifacts and photographs from the Museum’s Collections related to Clarksville’s emergency responders, including the full-scale 1925 fire engine that was used by the Clarksville Fire Department. This exhibition is sponsored in part by Clarksville Dental Center. Yada, Yada, Yada Deli is proud to host an exhibit by Olasubomi Bashorun during the February 2019 First Thursday Art Walk. DBO Gallery is proud to host an exhibit by Olasubomi Bashorun during the January 2019 First Thursday Art Walk. Please join Arts for Hearts Clarksville for a special Valentine Edition of our Pop – Up Studio @ the Downtown Commons during the 1st Thursday Art Walk on February 7th, 2019 from 5:00pm-7:00pm. Roux is proud to support the January 2019 First Thursday Art Walk, but will not feature an artist this month. Rogate’s Boutique will be open late and is proud to support the February 2019 First Thursday Art Walk, but will not feature an artist this month. But, stop in and find something for your Winter wardrobe! Mildred and Mable’s is proud to support the February 2019 First Thursday Art Walk. Horsefeathers Pottery and Art Studio is proud to support the February 2019 First Thursday Art Walk and will be open from 5:00pm – 7:00pm. Couture Crush is proud to support the February 2019 First Thursday Art Walk. Stop in and find the perfect piece to spice up your Winter wardrobe , during the December First Thursday Art Walk! Journey’s Eye Studio is proud to support the February 2019 First Thursday Art Walk and will be open late! Stop in and find something unique for your home!